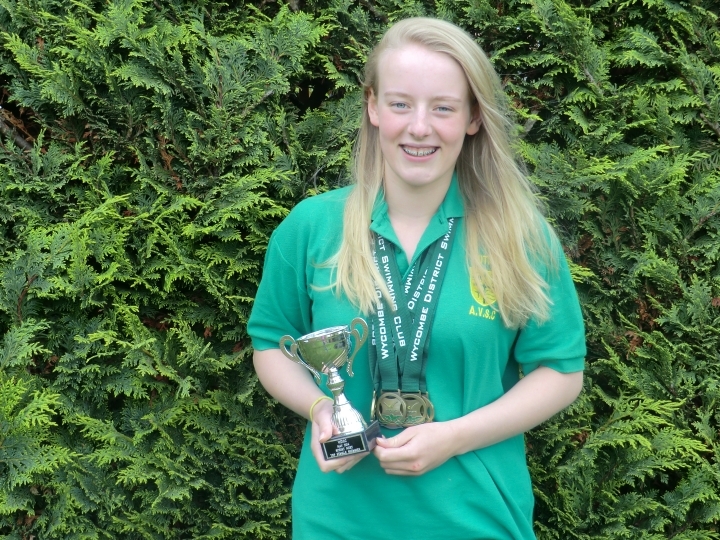 Over the past week Emily Ford competed at the National Age Championship up in Sheffield. 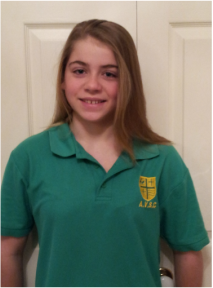 Emily took part in the 100/200 Back and 100 Fly, all of which she manage to do a PB in. Emily's best placing was 11th in the 100 Back, just missing the final by 0.02. Emily should be congratulated on her efforts at her first national competition. Emily and Amanda would like to thank all the AVSC members who sent their words of support to Emily. It was lovely weather and a warm midsummers day evening and the AVSC Green and Yellow teams rallied to take on Bicester Bluefins, City of Oxford and Swindon Dolphin for the 2nd Vale Cup. Based on the Arena League sprint and relays format, this is a real team event and as usual gets a lot of swimmer and spectator involvement. Both Green and Yellow had their strengths with some fingertip finishes, but Yellow pulled ahead chasing a strong Swindon squad. The coaches didn't miss a beat getting the swimmers up for their events and no-one had a vacant event. It was great to see AVSC manage to field two full teams - many with their first taste of this format of gala. The final event was the popular Squadron relay, an 8x50 mixed freestyle relay (swum in any order this time). The lead and other positions changing 4 times over the race between 3 different teams with the onlookers raising the roof. Results overall as follows with Swindon regaining the Cup for another year, and all teams having had a lot of fun. Thanks also to the many officials, timekeepers and helpers who made the evening work - it really is appreciated and means we can run these gala events. We'll do it all again next year. Well done to all those who took part in the second weekend of the Age Group South East Regional Championships at K2 Crawley this past weekend. 11 year old Daniel McNamara was again in the medal - winning 2 Silvers in the 100 free and the 100 fly. Harry James competed in the Cardiff International Meet on Sunday and swam a National qualifying time in the 400 IM. This is his 3rd National time and a new event for him . His time was 4.41.22 LC and he came 3rd overall. 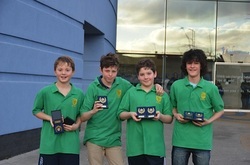 Well done to the AVSC swimmers who took part in the South East Regionals this weekend. Lots of PBs and club records. 12 year old Emily Ford made finals for 100 back, 200 back and 100 fly and achieved a silver in 100 back bronze medals in the others and well as Long course National times in them all! Very impressive. Also notible was 11 year old Daniel Mcnamara who won bronze in 200 free and the 100 back. Lottie James and Max Bolcato took part in their first regional champs achieving long course PBs with their excellent swims. Great races also from Oliver Hodgson and Luke Wilby. 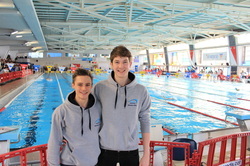 Over the past weekend AVSC's senior swimmers attended the SER Youth Regional Champtionships in Crawley. 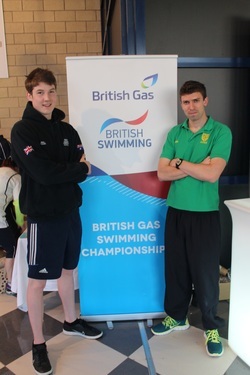 Two swimmers from Abingdon Vale Swimming Club competed in the British Gas Swimming Championships, in the Scottish city last weekend. Niall O’Leary, 17, took home silver in the men’s junior 200 backstroke final. This win now ranks the swimmer from Abingdon number two in the country for his age group, and is a half a second improvement on his personal best (2.05.73). The competition saw club swimmers and Olympians, not only bettering their personal times but also fighting for Commonwealth and Junior European qualifying times. 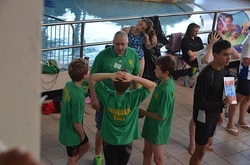 Head coach Scott Farnell explained that it was a tough competition and that he is proud of his swimmers performances. The event was held at Tollcross International Swimming Centre in Glasgow, where the Commonwealth games will be held this summer. Michael Esnouf, 17, from Combe, also had a successful weekend coming sixth in his final. Esnouf also achieved a personal best of 1.06.27.k here to edit. AVSC at Counties 2014 ! Total - 38, taking overall tally to 64 medals with one weekend to go. This is a pretty wonderful achievement by the swimmers - particularly as we are a relatively small club! There are quite a number of top 8 finishers too - all scoring important points in the overall club competitions as well as in the Bagcats standings. Thames Valley Junior League - Winners! Job Done. That's all folks! Oh all right I can hear you all clamouring for more after a night of many triumphs for AVSC's Junior team as they stormed to victory in the B Final of Thames Valley Junior League 2014. FIVE Junior relay records broken in one night! 22 race wins - 8 relays and 14 individuals. 12 seconds and 4 thirds. 16 individual 50m PBs lowered. And breaking news - absolutely no gremlins to report with the race program this time, leaving the travelling supporters with little to do but sit back and marvel at the conveyor belt delivery of swimmers to the blocks where Club Captain Caitlin Wheatley sent them on their way for some seriously fast AVSC swimming. Where better to start than at the beginning with a record breaking medley relay from the Girls U12s. Emma Costello, Charlotte Rowley, Yasmin Tajalli and Leonie Watson got proceedings under way and set the standard for the night by taking two seconds off a record that has stood since 1996. The boys U12s were keen to follow this with a win of their own and duly delivered to make it two out of two - only to be denied by a toe-curling DQ at the start of the back-stroke leg! A pretty harsh penalty in only the second race and despite a protest being lodged the referee refused to change her decision. It mattered not, and AVSC were off and swimming fast. The Girls U9s came second in their medley relay, the boys 4th and it was not long before the next win came along in another club record-breaking performance - with Girls U10s (Lottie James, Jana Cooper Marcos, Merel Hijink and Alice Martin) getting in on the action. The boys U10s battled to hang on for 5th place - no mean feat with two 9 years olds swimming up). The Girls U11s took 3rd and the Boys U11 rounded of the first set of relays by notching up the third win of the night. This was just for starters though and once the main course got under way with the individual races the team returned time and again to the top table to help themselves to the podium places. Over the next 32 individual events AVSC placed in the top three in 26 races (14 firsts, 9 seconds, and 3 thirds) - a fantastic achievement and it really was a dominant display from the whole team with every swimmer giving it their all. What the younger ones lacked in experience they made up for in spades with enthusiasm and there were improved times for 4 of the 9 year olds in their individual races, there are no official 25m club pbs, to add to the 16 individual 50m personal bests. Yasmin Tajalli - causing a few nervous looks between the coaches, and probably Dad too, after taking it somewhat easy over the first 40m before stretching it out to avoid what would have been the upset of the night had the Chalfont swimmer pipped her to the touch - she was only 0.7 behind you Yas! A pb in the 50 Fly restored calm on poolside and in the gallery! Not quite replete after this salvo of fast swimming, the teams were hungry for more and duly got stuck in to the freestyle relay dessert trolley notching up 5 wins and 2 seconds from the final 9 races. The U10s girls were still in record breaking mood as they dropped the record by almost 2 seconds, and this was followed by another record-breaking performance from the U12 girls team - lowering a club record from 1996 to 59.27. The U11 boys then registered their second win of the night and the U9 and U11 girls both took second place in their final races, the latter producing the closest race of the night with Livvy Pilbeam being roared on by the gallery only to be touched out by 0.02 in a finish that saw 4 teams separated by just 0.18 seconds at the finish - anyone for Place Judge? Not to be outdone by the girls in the record stakes the U12 Boys Oliver Hodgson, Oran Forrestal, Max Bolcato and Blaine Carpenter) then snuck in to lower a record that has stood since 1993 by just over half a second. And so to the favourite Squadron Relay to bring to an end what had been a spectacular night. It looked like our main challengers, Chalfont Otters, were going to fight this one to the finish and they duly took it out from the start and led for the first four or five legs. But with the decibel levels increasing and the gallery rising to its feet the AVSC juggernaut seemed to get faster and faster with each changeover until Oliver Hodgson delivered the icing on the cake to seal a truly great win for the team. So that's it TVJL for 2014 - it has been a blast with much laughter along the way and a few tears (mostly mine!). In the final standings we should be in 7th place in the league which is perhaps lower than our aspirations at the beginning but after releasing 8 swimmers to represent the County team for Round 2 the team really showed the strength and depth of talent that exists at the junior end of the club which is very exciting for the future. Being in the A final would have been the target at the beginning, but how good was it to come away with a gala victory and and trophy to boot - and without any interference from the redundant gallery to distract us this time the coaching team actually got to enjoy it too! Which leads to the final thanks due to all those who help make it happen - Bruce and James on poolside, as well as Caitlin, Pippa, Helen and Rhian for your calmness under pressure in carrying out a job that can sometimes seem like herding cats! To Margaret, Jean-Baptiste and Inge for all your officiating - without which we would not be able to compete so big thank you to you. To the supporters and parents for transporting swimmers to the various venues (even when not actually required to do so! ), and of course to all of the swimmers who have competed throughout the series, especially Academy members. Keep enjoying your swimming and keep swimming fast. Great results at Day 2 of ONB County Champs! Abingdon Vale Swim Club’s 11-12 year old 'A' Relay Team win 2 Silver Medals at the Oxfordshire & North Buckinghamshire County Gala, Bletchley Leisure Centre on Sunday, February 9th! AVSC’s 11-12 boys A relay team consisting of Oliver Hodgson (12), Daniel McNamara (11), Max Bolcato (11) and Blaine Carpenter (12) win 2 silver medals against huge clubs like Maxwell and Bicester. 200 Medley (4 X 50): 2:22.41 - record (from 1993 - 21 years old) was 2:26.48 - shoved 4s off! 200 Free (4 x 50): 2:03.30 - record (from 1998 - 16 years old) was 2:09.19 - shoved almost 6s off!! Well done to the 6 AVSC swimmers who were chosen to be part of the Oxfordshire and North Bucks County team and swam in a competition at Biggleswade on Saturday, 1st February. The team was fantastic and came 2nd place overall. Congratulations to Daniel McNamara, Eloise Ross, Emily Ford, Jana Cooper Marcos, Merel Hijink, Oliver Hodgson, Zoe Lovibond and Yasmin Tajalli. Full results can be downloaded below. Another evening of junior league swimming kicked February off with a bang as AVSC’s young swimmers did battle in round 2 at Chiltern Pools, Amersham. Once again there was no lack of enthusiasm and excitement from the swimmers who faced a daunting task against top of the league Amersham A and teams from Reading and Maidenhead A, who placed second and third in Round 1 respectively. With 8 members of the team from round 1 heading off to represent the ONB County team the challenge was on to see if we could keep ahead of Chalfont Otters and Maidenhead B, both of whom we had seen off in round 1. The open medley relays got under way with every single swimmer giving their all in every race. It was no different in the individual events too and it was great to see AVSC swimmers going for it right to the end in every race. There were some very close finishes which often resulted in an important place being gained right on the touch – all down to our ‘never give up’ attitude and some gritty determined swimming displayed by all. Despite these close races and no doubt every swimmer wanting to be the one to touch the wall first, we didn’t quite manage that elusive first place on the night as the opposition proved too strong. There were notable second places though for Alice Martin (50 breast), Emma Costello, (50 Back) and Lottie James (50 back) and third placed swims for Georgina Halfhead, Ella Pearce. Apologies if anyone has been missed but at the time of publication we are still waiting for the official results. In the relays the girls 9 year olds stormed to second and third place in the freestyle and medley relays respectively – which included particularly plucky swims from our youngest member on the night, 8 year old Orla Forrestal, whose last minute signing after a re-read of the eligibility rules meant Mum and Dad were able to keep the peace at home as all three Forrestals (Orla, Pia and Oran) were in the team! Third place also for the girls' 10 year olds (medley), boys' 11 year old (freestyle) and girls' 12 year old (freestyle). At the end we were beaten to 4th spot by Chalfont by some 20 points or so (official results awaited) but 5th place was no disgrace at all for the team and the swimmers did themselves proud, particularly those swimming in a league gala for the first time (including again a number of Academy swimmers. Incredibly there were no major mishaps with the race programme this time. Just the minor incident of the 9 & 10s swap occurring with events 17-20 – but this dear readers was all just a deliberate plan to make sure that the travelling supporters were not falling asleep in the gallery and were able to feel included in the proceedings! The resulting collaborative intervention from the top tier could be heard back in Abingdon. Fortunately it caused enough of a distraction to delay the referee starting the next race and thus enabled a swift extraction and insertion operation to be performed and it was soon in with the gala as if nothing had happened! Watch out for Round 3 where I will be asking the referee to conduct the races on a random selection basis in order to have a better chance of a match-up with my list! Once again thank you to al the swimmers for your brilliant effort in the pool, to Margaret and Jean-Baptiste for your officiating, to James, Bruce, Helen and Rhian, special thanks to the eagle-eyed Kate poolside, and of course to the mums and dads and everyone who came along to support the team for another great night of swimming. A team of 20 swimmers was selected by the South East Region following the Winter Regionals, based on the highest FINA points achieved. 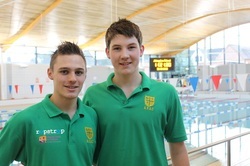 Two of our National swimmers - Harry James and Niall O'Leary - were invited to represent the region. They both swam brilliantly getting through to semi finals and finals. Niall swam the 50m back , 100m back, 200m back,400m free, freestyle and medley relays qualifying for finals in the 100 and 200m back and semi final in the 50m back. Harry swam the 50m breast, 100m breast, 200m breast, 50m free, 100m free, freestyle and medley relays, qualifying for finals in the 100 and 200m breast. Overall the SE Region Team did extremely well coming home with a large number of medals and PB's. Well done Harry and Niall. 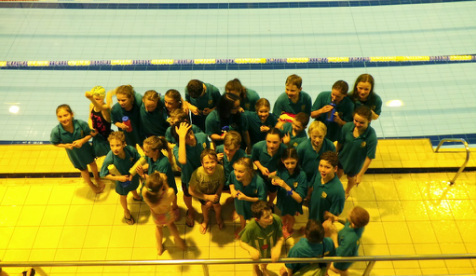 Newbury Leisure Centre was bursting with noise and excitement on Saturday evening for the first round of the Thames Valley Junior League which saw AVSC pitted against teams from Bracknell & Wokingham, Amersham B, Reading, Newbury, and Maidenhead Marlins B. All was set fair for some fast swimming and the 12 years olds girls got the gala under way with a solid 2nd place in the medley relay, and the boys came in 4th in theirs. Things then went a little bit off piste due to a mishap amongst the coaching staff over the race programme which unfortunately resulted in AVSC fielding over-age swimmers in several of the next few relays and but for the timely intervention of one of the supporting Mums we may well have carried blindly on without noticing - after all it was very loud on poolside! Fortunately total disaster was averted and the individual events got off to a flying start with a 1st place from Georgina Halfhead in the 25m backstroke - nonchalantly restoring family pride in the process! In fact all the swimmers took the said hiccup in their stride and were totally unfazed by the fact that no one really knew who was doing what, where and when (with the exception of course of the unflappable Club Captain Pippa Sayers and her equally calm deputy Rhian Casey who both kept things ticking over nicely at the business ends of the pool and ensured that swimmers' nerves were kept under control). A memorable win from Jana Cooper Marcos in the 50m Breaststroke preceded a purple patch of three straight wins from Ella Pearce (50m Fly) and Max Bolcato (50m Fly) and Yasmin Tajalli in a thrilling 50m Freestyle. There must have been something in the fly ointment in lane 3 because Merel Hijink then blitzed her way through the field to win her 50m Fly. This led to an equally thrilling win for Daniel McNamara in the 50m Free who had a busy night in the pool swimming up to plug some gaps in the 12 year old relays. Lottie James swam clear of the field to win her 50m backstroke and Theodora Wornham sprinted home to take the honours in the 25m Freestyle for the 9 year old girls. In addition to these individual wins, there were five second place swims from Sytoria Carpenter, Oliver Hodgson, Georgina Halfhead, Yasmin Tajalli and Lottie James and five third placed swims from Felix Sissins-Roffey, Blaine Carpenter, Aiden Casey, Daniel McNamara and Oliver Hodgson. The final set of freestyle relays saw a win for the 10 year old girls, second place for the 11 and 12 year old boys and then to the loudest cheers of the night the Squadron Relay team battled through to steal third place in a thrilling finale to the evening. In the final points tally AVSC were in 4th place with 181 points just shy of third placed Bracknell & Wokingham with 188, with Newbury and Reading taking first and second honours on 230 and 220 points respectively. It is difficult to say how badly the mix-up affected the outcome in terms of the final standings but what matter most was that although some swimmers did miss a relay they did all thankfully get to swim - and as important as points are, all of the swimmers contributed to a great evening of swimming and hopefully everyone (well nearly everyone!) enjoyed themselves. A huge thank you to all the swimmers for their fast swimming, to all the parents and supporters for giving it your all from the stands (It was pretty loud) and of course for your understanding, to Inge, Margaret and Jean-Baptiste for your officiating and to Bruce, Pippa and Rhian for helping to control the screaming swarm of lycra-clad swimmers on poolside. Roll-on Round 2 I say! Daniel McNamara, Eloise Ross, Emily Ford, Jana Cooper Marcos, Merel Hijink, Oliver Hodgson, Zoe Lovibond and Yasmin Tajalli. Good luck - Abingdon Vale is proud of you! Following the recent South East Region Winter Championships Harry James and Niall O'Leary have been selected for the South East Region Team, to compete at the Catalan Championships in Barcelona from the 16th - 20th January. FINA points were calculated for all swimmers at the Winter Regionals and the top 10 boys and 10 girls have been invited to take part in this competition. Good luck to both boys. Congratulations to Niall O’Leary for being selected for Phase 2 of the England Talent Development Programme. Invitations to these camps have been made taking into account a number of factors including a review of performance rankings, profiling day data, recent World Class Programme selections, and the age profile of each event at international podium level. The specific camp Niall is invited to attend will focus on Freestyle (50/100/200mts) and Backstroke (100/200mts).